How long do I know Spencer Davies Group's hitsingle 'I'm A Man'? I have no way of telling, but chances are as long as it is old, as songs came by when I was a small kid and some I remember vividly no matter how young I was and others were sort of there along the way. 'I'm A Man' certainly is in the latter category. Of course a few years later Chicago Transit Authority added to the fun with it's version late in 1969. What does it say when an album released in 2019 opens with a funked and danced up version of that song from 1966/1969? For certain that the strength of the song has not abated in over 50 years. The way Stevie Winwood and the guy from CTA sang is emulated without any trouble by John Turrell. He has that rasp in his voice R&B, the classic version and soul need to sound anything near authentic. John Turrell has it in his voice realtime. I'm even reminded a little of Theo van Es of The Shoes. And if anyone had a rasp in his voice it was The Shoes' singer. 'I'm A Man' is one of two new tracks on this compilation of the past 10 years. Smoove and Turrell met in 2008 by accident, in the form of making music next door to each other. The combination managed to come up with a form of Northern Soul for the 21st century. Music that is extremely swinging, so infectiously danceable. The modern sounds in the rhythm blend with more traditional R&B and soul. The speed allows for modern dance. I hear some of Gnarles Barkley and Cee Lo Green's hits in this music. Above all I hear music from my early youth. The Four Tops, The Temptations, The Supremes, Tamla/Motown. This music has that groove. It is quite a compliment to give. The singing is more one dimensional as it is mostly Turrell's voice I hear, the effect is the same. 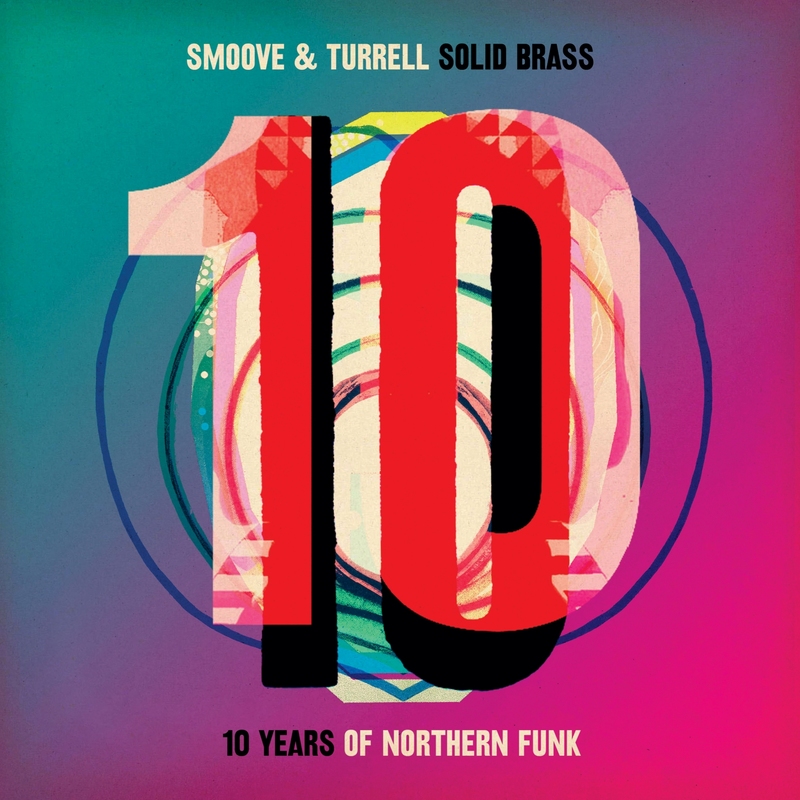 Songs for living, loving and dancing Solid Brass presents to the world. Songs that warm a heart and can make people extremely happy. Need I say more? I thought not. @SmooveTurrell: "Thank you so much for the kind words I’m sure Turrell will be over the moon 😉✊". @JohnTurrell: "Wow I think I might have just got my head stuck in the door frame! Thank you so much 🙏".